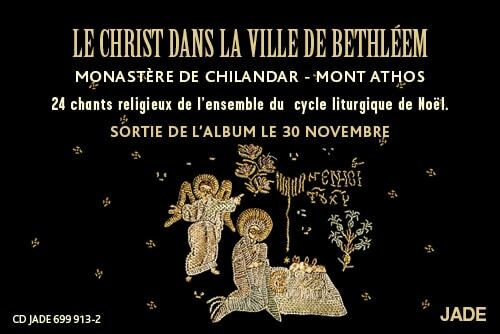 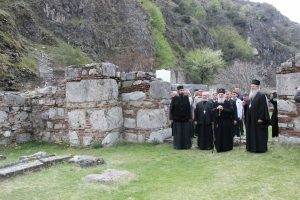 Daphni Monastery, included in the UNESCO World Heritage List since 1990, is known for its mosaics. 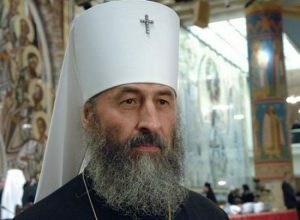 French academician Hélène Carrère d'Encausse met with Patriarch Neophyte of Bulgaria in Sofia. 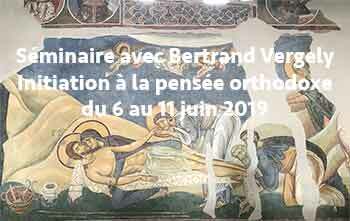 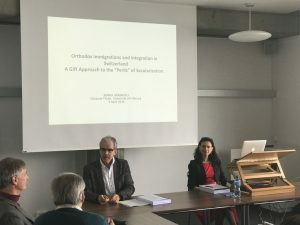 Ph.D. dissertation successfully defended on "Orthodox immigrations and Integration in Switzerland" at the University of Fribourg. 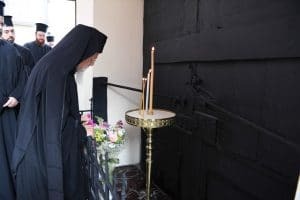 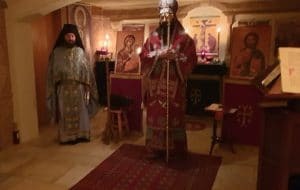 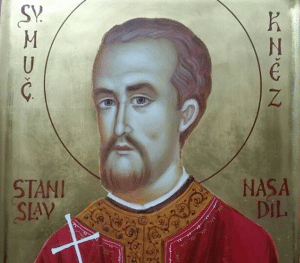 Metropolitan Joseph celebrated the first Divine Liturgy in the new chapel at Protection of the Mother of God Monastery in Switzerland. 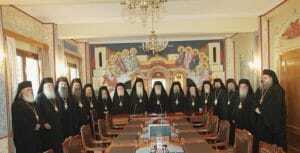 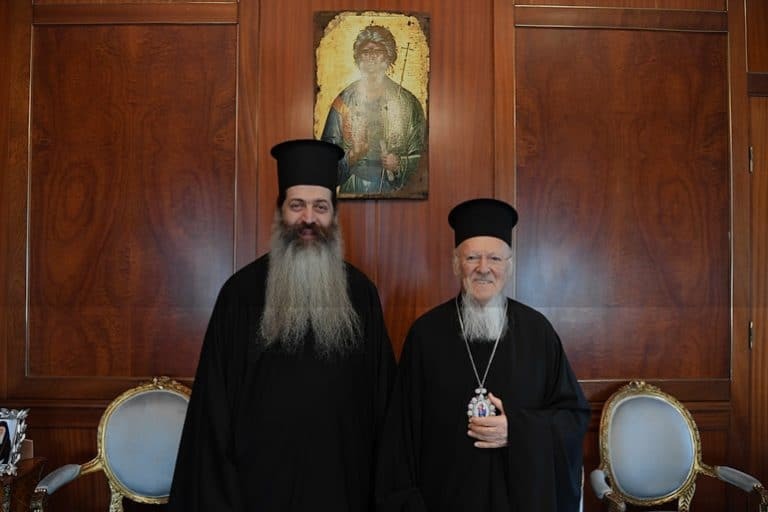 Communiqué of the Holy Synod of the Church of Greece following its April 3rd meeting. 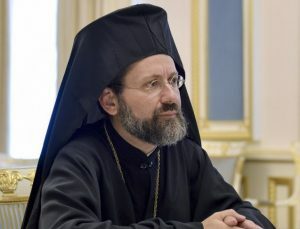 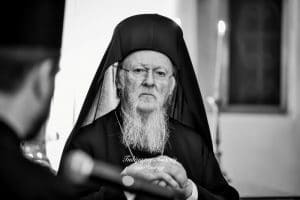 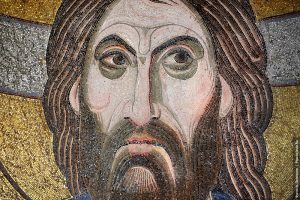 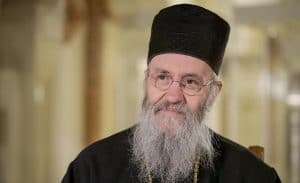 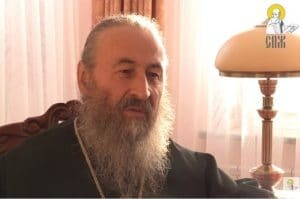 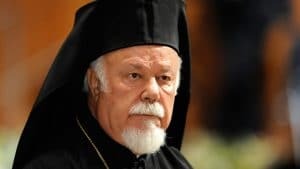 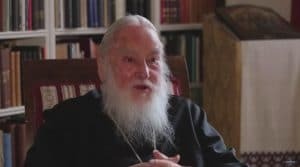 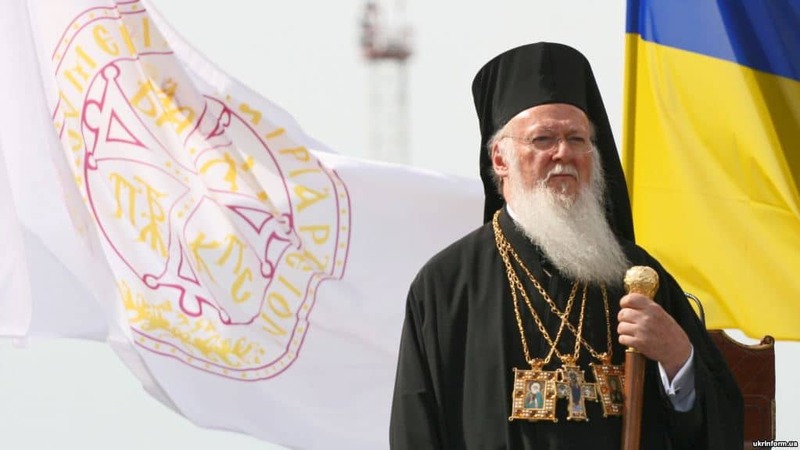 Archbishop Job of Telmessos responds to journalist George Papathanassopoulos who accused him of being an "Internationalist Orthodox Archbishop"
On April 2, 2019, the Bulgarian Orthodox Church Holy Synod issued a statement regarding Pope Francis’s visit to Sofia. 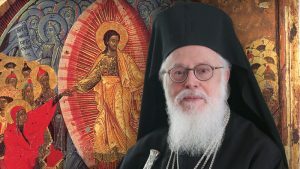 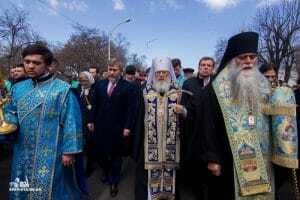 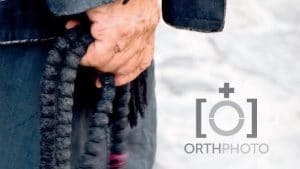 The statement issued by the Orthodox Bishops’ Conference of Germany (OBKD) at the end of their Spring session. 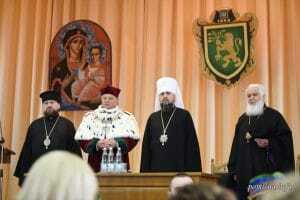 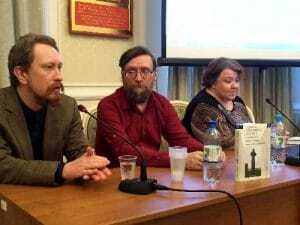 Inter-university agreement signed in Russia. 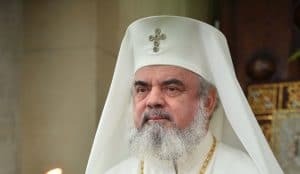 In his homily for the feast of the Annunciation, Patriarch Daniel spoke about the family and the March for Life. 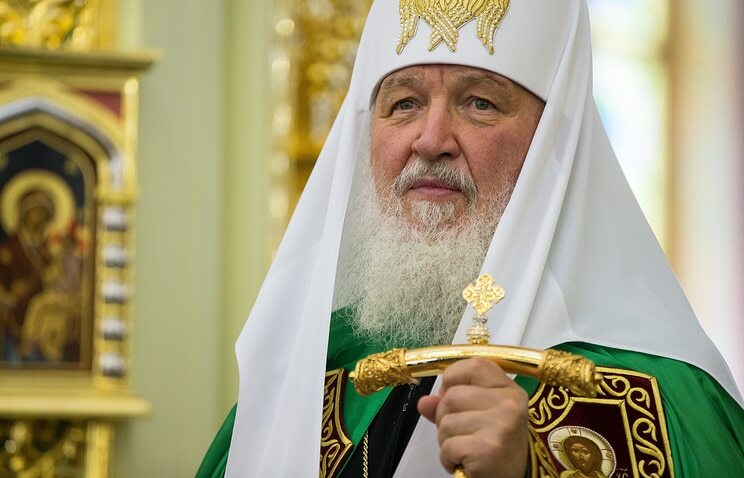 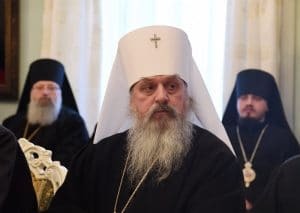 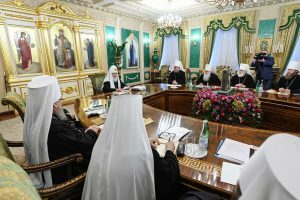 Patriarch Kirill of Moscow addressed the question of the families of priests, stressing that they should be the diocesan bishops’ utmost concern. 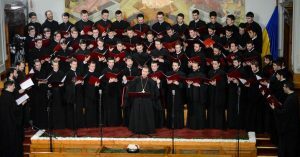 Tronos Choir, one of the most appreciated in Romania, will give a concert at the European Parliament in Brussels on April 11th. 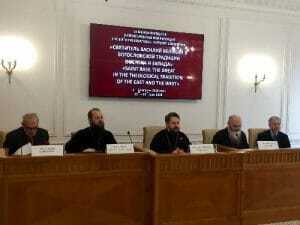 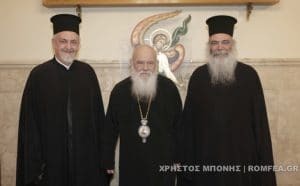 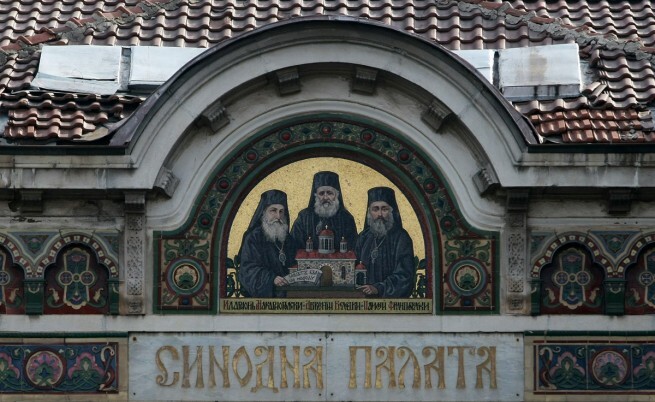 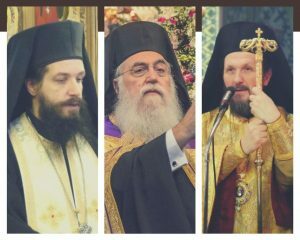 Presentation of the three new metropolitans recently elected by the Holy Synod of the Orthodox Church of Greece.